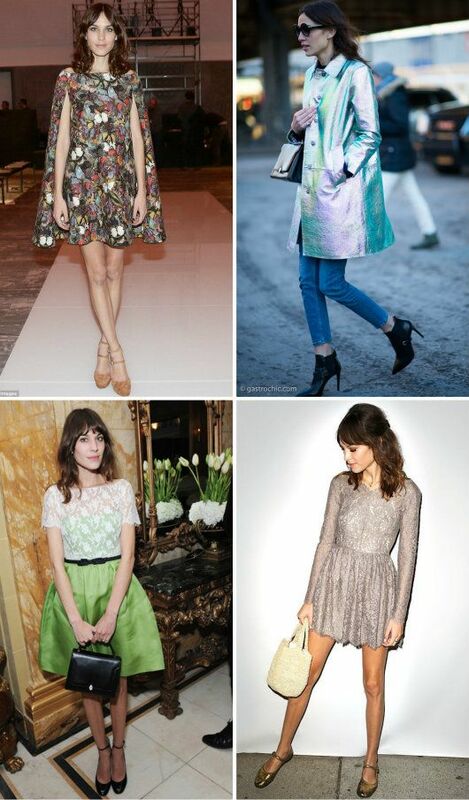 There are some style crushes you don't want to admit to liking because they are so ubiquitous as inspiration you feel like a stereotype--Alexa Chung is that style crush for me. But hey, I do like her style. As she herself has stated, it's very much a modern interpretation of Jane Birkin; undone hair, Breton stripes, that perfect casual-cool that looks effortless but is as carefully curated as haute couture presentations. It's a good look and it's actually a fairly attainable one. Her leopard print coats can be found in vintage shops, her favored flats and stripes are in every high street shop, where she herself shops. In the end it's the high/low mix I admire the most; the way she wears flirty, formal dresses with flats, tee shirts with sequins, and always looks like herself. She doesn't get overly dolled up for big events and styled into someone unrecognizable but maintains her stylistic voice on every occasion. Being a common icon among young women doesn't make her style any less inspirational.